For more information on any of these products please contact us at: (248) 399-8524 and use Extension "0" to speak with an operator. Use GoldMine better, faster, more easily, by using the secret shortcuts revealed on this mouse pad. Click the link above to download the QuoteWerks Demo. You can easily import your product information into QuoteWerks. 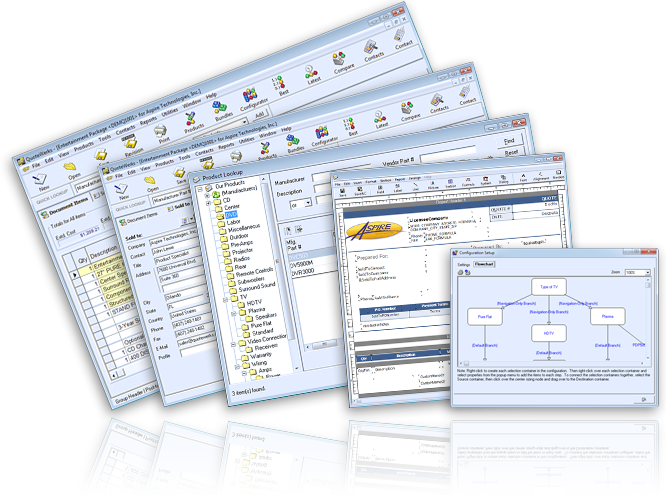 QuoteWerks can link to product database sources like Excel spreadsheets, text files, or if you are in the IT industry, Tech Data, Ingram Micro, SYNNEX, D&H and more. You can also just type product information directly into the quote. If you use QuickBooks or Peachtree, QuoteWerks can even quote products that you have stored in QuickBooks or Sage 50 - US Edition / Peachtree. 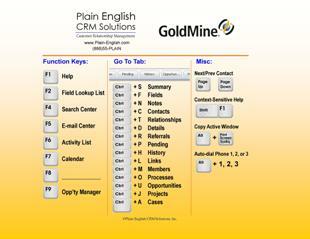 GoldBox is the premier tool for importing and exporting data to and from GoldMine. GoldBox can be set up to run imports on based on timers, perform record merges and much much more.